Space. Rockets. Satellites. Planetary exploration. Aerospace engineering really is as exciting as it sounds. Dr Capra is a passionate and enthusiastic aerospace engineer researching in these areas while inspiring future generations of innovative engineers. Bianca is excited about all things engineering, with experience in topics ranging from high speed atmospheric and interplanetary flight to generating practical solutions to reduce the energy use of our built environment. Her second great passion is educating our future STEM leaders, and she has over 11 years’ experience in the higher education sector. She currently lectures in aerospace and mechanical engineering at UNSW Canberra. Bianca completed both her bachelor’s degree and PhD in aerospace engineering at the University of Queensland. 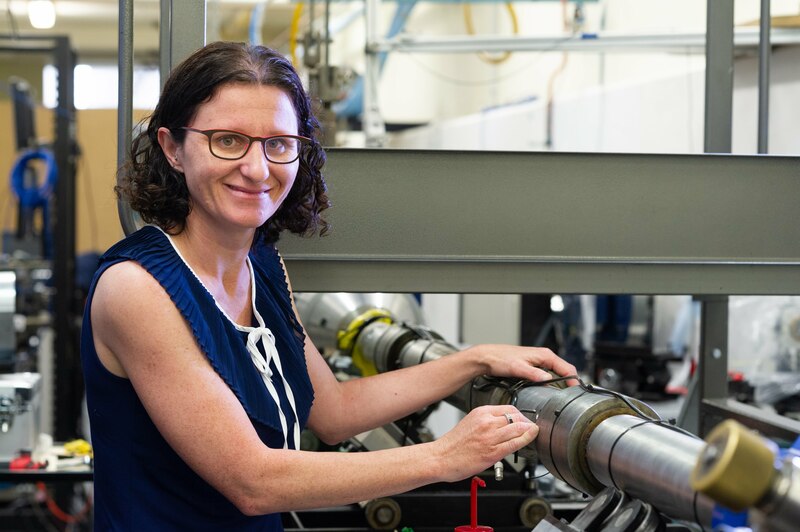 After a period working in industry, Bianca returned to the challenge of advancing high-speed engineering knowledge as a post-doctoral researcher on the SCRAMSPACE project at UQ, which culminated in the launch of a hypersonic air breathing engine in Norway in 2013. Currently, Bianca investigates the interaction and coupling between fluids and structures at high speed, innovative fuel injection technology, thermal protection solutions, and aerothermal heating loads in high-speed atmospheric flight. Bianca is a proud feminist, engineer and advocate for equity and diversity in STEM.